Launching a new blog is great ideas but it’s too hard when you start building it. Some people start but they also quit pretty soon. People have thousands of reasons on how and why they cannot keep blogging. Some people start a blog as a hobby and some just to share some information. I have also seen people who start a blog, write one post and then forget about it. The problem is that lot of blogs die pretty soon. So why do blogs die? I started my blog back in 2002, it has died a few times and changed the main languages but I was able to get it back up and running. Why are a lot of people not able to have a successful blog? To me it’s a totally exciting experience and I can’t wait to get started. Setting up a blog is a fairly easy thing to get started. However, there are so many resources available to you that it can be overwhelming. To avoid such things and making your niche blog, I have produced my list of things that you should do/have before starting a blog. 1. Who will be your audience and what will you tell them? Before you do anything else, I recommend you to study the other bloggers in your niche, learn about the hot topics in your community, figure out where your customers are hanging out, identify who the leaders are, and read up on some of your favorite writers and the people whose voices you’d like to emulate. You’ll find that a lot of your writing is affected by what you read. Who is your ideal reader? Who are you writing for? It’s important to know your audience so you can meet their needs and address their concerns, challenges and what they’re looking for to improve their lives. Have a “reader” in mind when you are writing. This is when I thought to myself that I wanted to create a blog that I would like to read. 2. What are you going to name your blog? How will it help you build up your brand? Once you’ve figured out the why, who, and what of your blog, you need to come up with a great name for it. Why is coming up with a name so important? Because a good name can attract potential readers. One of the ways that people can find your blog is through search engines. If the main topic of your blog is about motorbikes, then it’s a good idea to have something that has to do with ceramics in the name of your blog. 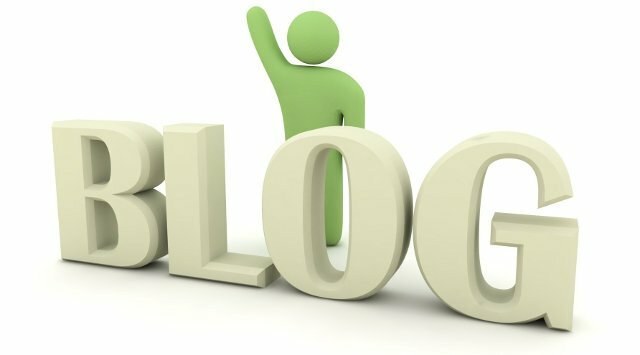 Having the name of your blog match your main topic will give you a small boost in the search engines. Do some online research for tips on creating a blog name that will work for your goals and blogging plans. Your name won’t be easy to change once you have a large following, so it is important that you stick with the same name from the beginning. Once you’ve come up with a couple of ideas for blog names, go to a domain name registrar and see if they’re available for purchase. Today, domain names are very inexpensive, usually $10 or less a year. All in all it’s a pretty cheap form of branding. So don’t scrimp in this area and don’t wait. Unfortunately, this can be challenging when so many of the best domain names are already taken. Whether you’re getting a free blog on free blogging services or you’re hosting your own blog, you should buy a domain name. A domain name is a very important piece of branding. Instead of having your blog address as myartblog.blospot.com or mysomethings.wordpress.com… you can have your address as mynicheblog.com. That sets you apart from all the other blogs on Blogger or WordPress.com and looks more professional on a business card. Also, if your domain name contains some of your main keywords for your blog (i.e. “fashion” if your main topic is fashion, “travel” if your main topic is travelling), your blog will get a slight boost with the search engines because of it. I use GoDaddy.com to purchase my domain, it only cost me $7.99 .com for first year then $10.00 per year after. So I would recommend you get your domain there as well. Choosing a blogging software can be confusing because on the surface, the various blogging software products such as WordPress, Blogger, TypePad, Movable Type, LiveJournal and more are quite similar. When choosing your blog platform, you’ll need to determine whether you would prefer a hosted or non-hosted blog platform. A hosted platform is one that is housed on the platform’s server. In other words, if you have a Blogger blog, your blog is hosted on the Blogger server; if you have a WordPress.com blog, it’s housed on the WordPress.com server. I’m not going to tell you which blog platform you should use because, as you will see, there are good reasons for choosing most of the available platforms depending upon the goals of your blog. In fact as I look at some of the most successful blogs there are examples of most of the platforms. During the blogging time, you can change your blog platform as you want. If you start a hosted blog, you need to find a good hosting to running your blogs. Find a good hosting like choose your blogging platform, it’s not easy but it’s not difficult. Why I said like that? Choose the web hosting is not like choose the blogging platform, you will find a lots of review for any services you’re interesting. What’s kind of web hosting services do you need? There are different kinds of hosting but they can essentially be classified into three types. Shared hosting is where most people start out and it is usually adequate for new site owners. Shared hosting is where different users are all on the same physical hardware. You can running your website with a limit resources i. e. : cpu usage, ram, bandwidth transfer per months, …..
A VPS is the next stage. You are still on a shared machine, but you are more isolated from your neighbours. This usually gives you more processing power and more RAM so that when your traffic spikes, your site isn’t likely to go down. Finally, when your traffic is at massive levels, you might consider moving to a dedicated server. As the name implies, this is a dedicated piece of hardware that is entirely yours. All the RAM, the processing power and disk space is yours to do as you wish. There are many hosts online, and I’m sure that someone will recommend a good host if you ask nicely. Make sure that you do your research and know what you’re getting into, though. Some shared hosts are crippled in their abilities and will only let you have one domain hosted with them, for example. Or, once you sign up, you discover that “unlimited” isn’t really unlimited. I use Hostgator.com because it is really affordable. $4.95 a month is really cheap to host your blog and you get great service with HostGator. Enter 25OFFNARGA as coupon code to has 25% off of your order, be quickly. I believe that design is one of the most important items for a website, especially one that is geared towards gaining clients and/or readership. Yes, if you’re running a blog, your content needs to be great, but the design is what catches the viewers attention first – so make a good impression. Site’s that are unattractive repel people so incredibly fast regardless if the content is the best in the world. You’ve got to make it easy on the eyes and enjoyable to navigate. I say nice design because I accept that most new bloggers simply don’t have the time or the funds to have a unique, professional design in place. The most successful bloggers aren’t the ones with the best design. Your content does the talking, but at least stand out from the crowd a little. Many of the free themes you find online have been used by thousands of other websites and they’re just going to make it look like you don’t care about your website. Try to steer clear of ‘popular theme’ lists as these generally have the most users. If you use WordPress, you can take a view of Elegent Themes website, they provide a premium themes services with $39 per year, you can choose more than 70+ themes, that’s mean it’s too cheap to find a nice themes for your blog. One thing you must remember when beginning a blog is that you must be patient in order to see even a modicum of success. It takes a long time to popularize a blog, and even when that happens, it may be some more time before you start to see monetary results. You must focus on quality rather than trickery to market your blog, because that’s what will sustain it in the long run. A lot of bloggers start out to help others or express themselves and then they get caught up trying to make money or some other thing. The results are usually that they don’t make any money and they completely forget about their original goals. Why do you want to blog? Think about that and then stay with it. I think these basic and fundamental tips will help you in starting a blog and make it successful. If you read them in detail, I don’t think that you will need any other article to clear your doubts and confusion. If you still have any doubt regarding this article feel free to ask here, we will try our level best to help you. And if you feel that you have found this article helpful to you, then please say a thanks. I have worked for hours, to research and write this article so that my readers can get an hassle free guide before they start blogging. Which part of preparation is the most essential? Can any of this be left out? Is there anything missing? Please let’s me know.